We are very excited to host the latest installment of our Leaders in Literacy webinar series that features education leaders from around the country sharing their stories of increasing student achievement. Educators can view this archived webinar recorded in September 2018 with Cathey Ford, Intervention/Dyslexia Coordinator for Fort Smith Public School District. Learn how Fort Smith turned their state dyslexia mandate into an opportunity to fundamentally restructure how reading instruction was provided across their entire district. In this webinar, Ms. Ford will discuss how her district provided extensive professional development in sensory-cognitive reading instruction to teachers across 19 elementary schools, including all K-2 classroom teachers, special education teachers, reading interventionists, and teachers of English language learners. Educators will leave this webinar with knowledge of how Fort Smith implemented process-based instructional programs across an entire district, and all tiers of instruction. This presentation is appropriate for administrators, including State, District and School Administrators, Staff Development Coordinators, and Lead Teachers; this presentation is appropriate for addressing the needs of a wide variety of populations, including Special Education, Regular Education, and English Language Learners. 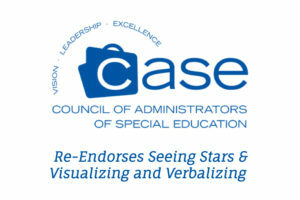 Lindamood-Bell® programs are endorsed by the Council of Administrators of Special Education.